French movie producer Alain Goldman’s latest production starred his Pacific Palisades home. Goldman sold his 7,500-square-foot pad on Amalfi Drive for $10.8 million. The buyers were Steven and Jessica Yi, property records show. The home has six bedrooms and nine bathrooms. Douglas Elliman’s Elizabeth Puro had the listing. Lainie Citron with Amalfi Estates represented the buyers. The sale comes out to around $1,446 per square foot, not unusual for homes in Pacific Palisades. 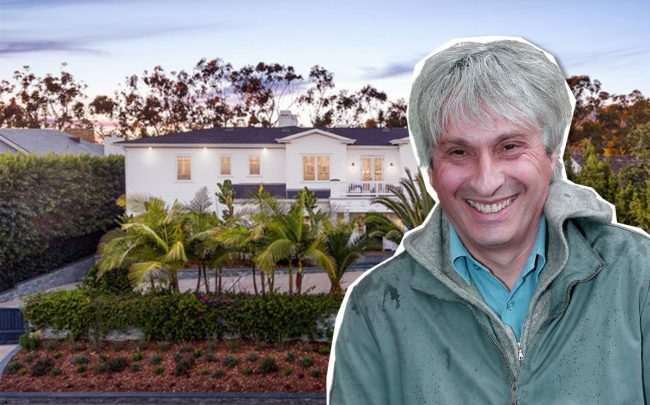 One of the largest sales in the last year was in the neighborhood, when Herbert and Bui Simon bought a $33 million, 15,600-square-foot home formerly owned by television executive Michael King. For the Amalfi Drive home, listing photos show minimally decorated interiors. The master bedroom has its own fireplace, balcony, two walk-in closets and a bathroom with marble floors and accents. And there is a screening room, along with a large parking garage with room for eight cars. Goldman has produced American and French films. He developed the idea for, and later produced the 2014 French miniseries “Résistance.” His recent projects include the Roman Polanski-directed historical drama, “J’accuse,” a film about French Captain Alfred Dreyfus.